This morning on the park, Doggo pulls up short as he chases his ball and then just lies down, as if he’s ‘chilling’. Both MD and I know he’s hiding a limp. The fact it takes us an age to persuade him to get moving again proves it. Not sure how he’s going to hide that from L. She’ll accuse me of overdoing it with the old man again. Derby win, which was a surprise enough. To win 5-1 is something else entirely. Perhaps this season won’t be quite so bad after all. Tonight a film and an alcohol free one at that, as I have semi-serious run tomorrow. 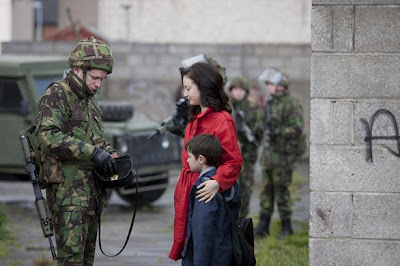 We haven't seen an IRA thriller in a while, at one point you couldn't move for them. ‘Shadow Dancer’ is set in Belfast in 1993, to the backdrop of the ongoing peace process which resulted in the IRA ceasefire the following year. First though, we rewind to 1973, when Collette McVey was but a little girl. When she offloads an errand to the shops on her little brother, he comes back dead, hit by a stray bullet in the street. 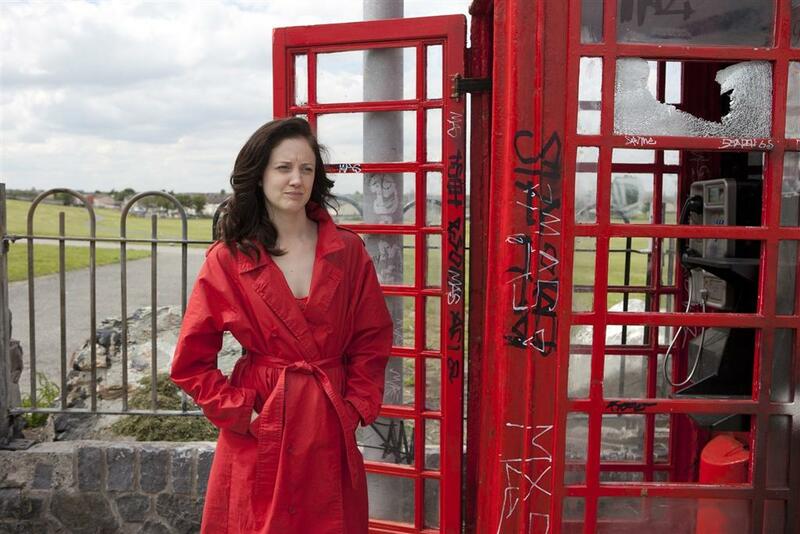 Fast forward twenty years and Collette (Andrea Riseborough) is in London about to plant a bomb on the underground. Only, the authorities are on to her and she gets captured. They have enough information to put her away, where she will lose her son or, they tell her, she could become an informant and work for MI5. She agrees, way too easily, which is one of a few things that are wrong with an otherwise impressive film. A lot of things seem a little too easy, not only is Colette easily turned into an informant but back in Belfast, although they are instantly suspicious of her return, particularly as CCTV coverage of her had featured on the TV News but nobody makes too much of it. They certainly don’t think to follow her to her regular meetings with Mac (Clive Owen) her MI5 handler. Perhaps because most of these meetings seem to happen in the pouring rain. There is good tension in the film though. Gerry, the local IRA commander, is the one man who is suspicious. He knows there’s an informant in their midst and will happily use a little water torture on Colette’s brother to find out if it’s her. Possibly Gerry’s character and his role could have been developed further but the film doesn’t really dip into the politics of the situation and the full horrors of terrorism are largely absent from the screen. The film prefers instead to pinpoint the distrust and paranoia on both sides. 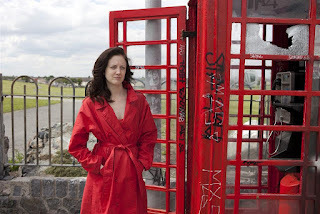 Whereas Colette has to betray her own side and family, Mac has his own problems, Gillian Anderson. Anderson appears briefly as a senior MI5 Officer putting obstacles in Mac’s path as she keeps him in the dark as regards the bigger picture in infiltrating this particular IRA cell. He starts to feel responsible for Colette when it becomes apparent she is just a decoy to take the heat off their main informant. It's a good film, intelligent, suspenseful and well-acted. Riseborough is excellent and even Owen is sort of ok. It's just lacking in a bit of extra oomph.